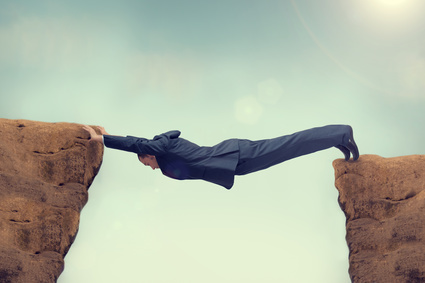 Three Things Every Educator Can Do to Close the Academic-Practice Gap Once and for All! 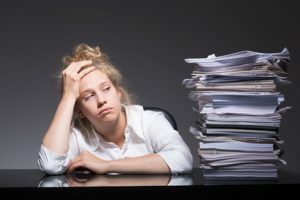 As I have been reviewing the nursing literature working on my literature review for chapter II of my dissertation, I have been surprised (frustrated too!) at how long the academic-practice gap has been documented by other nurse educators and researchers. How long has the academic practice been a documented problem in nursing education? The inability of graduate nurses to make correct clinical judgments has been documented in the nursing literature for at least twenty-five years! Dorothy del Bueno was obviously frustrated when she titled her first article “Why Can’t New Grads Think Like Nurses?” that was published 25 years ago in 1994.
del Bueno used a video simulation that required the nurse to recognize relevant clinical data that indicated an acute change of health status, initiate appropriate nursing interventions, understand why these interventions are relevant and differentiate between problems requiring immediate intervention. Only about 1/3 or 36 percent of graduate nurses met entry-level expectations of clinical judgment in 1994. 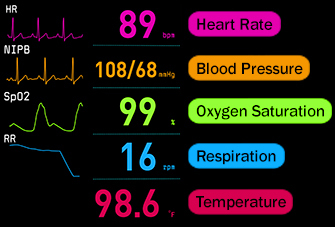 In response to these troubling findings, she recommended that nursing education use active learning methods that simulate clinical settings so students can practice synthesizing data, choose the priority interventions to manage the most common problems experienced in practice and correctly prioritize patient needs (del Bueno, 1994). del Bueno did not give up and conducted additional research that was published eleven years later in the article “A Crisis in Critical Thinking” (2005). Nothing had changed. Only 35 percent of RN graduate nurses met entry-level expectations for clinical judgment. Most were unable or had considerable difficulty applying knowledge and what they had been taught to practice. del Bueno hypothesized that one possible explanation is the emphasis on teaching more and more content rather than an emphasis on the use of knowledge and applying learning to the bedside. In the must-read article for every nurse educator, “A Crisis in Competency: The Strategic and Ethical Imperative to Assessing New Graduate Nurses’ Clinical Reasoning” Joan Kavanagh and Chris Szweda from the Cleveland Clinic documented the consequences of the ongoing problem of the academic practice gap that persists today and has gotten even worse. According to their study of 5000 graduate nurses over five years now only 23 percent of new graduates, all who passed the NCLEX® are meeting entry-level practice expectations of clinical reasoning. Alarmingly, the TREND of practice readiness of graduate nurses is getting worse, not better. Content overload in the curriculum or “infobesity” impairs the ability of students to use knowledge and develop critical thinking that will prepare them for clinical practice (Kavanagh & Szweda, 2017). If a student develops this foundation of deep knowledge, they are able to critically think by using this knowledge to identify abnormal signs and symptoms, recall knowledge about diagnostic tests, and understand the physiology of body systems to perform an accurate and complete physical assessment. I know that if you are reading this blog, you are motivated to be part of the needed change. The first thing that every educator can do to eliminate the academic practice gap once and for all is to build on a foundation of implementing educational best practice. This includes addressing the ongoing problem of infobesity or TMI in the nursing curriculum (Kavanagh & Szweda, 2017), so students UNDERSTAND the sciences of pharmacology, physiology, and fluids and electrolytes; not just memorize content to pass the test then most is forgotten. Also, learning must be active and needs to emphasize the application of content to the bedside of patient care and provide practice of the nurse thinking skill of clinical reasoning (Benner, Sutphen, Leonard, & Day, 2010). This is the foundation that has guided the development of the clinical reasoning resources and case studies that are found on KeithRN and will be expanded in the new rebuild coming next month. After implementing needed change in your content (and learning a thing or two on what to do differently! ), you need to tell other educators in your department or anyone who will listen what you have done. Though the serenity prayer does provide needed sanity to recognize that there are limitations to what you can change (which begins with you! ), you also have a responsibility to openly advocate and communicate that the status quo of spoon feeding students with passive learning if it exists in your program needs to go once and for all! As a new nurse educator, I did not do this consistently. Though I recognized the need for change and challenged the status quo in my classroom, when it came to communicating this privately or openly in a departmental staff meeting I kept my head down, knowing that my position would not likely be well received. I did not openly challenge the status quo. If you are sick and tired of the presence of the Goliath of the academic practice gap, it is time to openly challenge its presence in any form in your department. Goliath did not go away when the Israelites ignored him but grew arrogant and boastful. It took a David who believed that giants could fall. He openly confronted the giant and ultimately saw him fall once and for all. It’s Time to Be a David! The example of David and his heart to confront Goliath is something that every nurse educator needs to emulate. You were not called to be an educator and mind your own business. If the academic practice gap is present in your program, you need to take the hard path of advocating and embracing educational best practice where ever it leads. It is not an option and not left to the discretion of “academic freedom” by the educator. Not every educator in your department is going to change and embrace educational best practice. That is okay. They are responsible for their practice and will be accountable for the choices that they make. But as you decide to tell others, and do so in a gentle, encouraging spirit a little leaven can influence and leaven the whole lump of your program. Those that have ears to hear will come to you. Now you must teach them and replicate what you have learned. This is the key to eliminating the academic practice gap once and for all! You need to make disciples of other educators and show them how to implement educational best practice. Take time to guide and mentor those that are willing to change. Share your story and let them learn from your mistakes but more importantly implement what worked successfully to strengthen student learning in your content! Tools to Teach Others Coming Soon! When I began my journey to transform nursing education seven years ago, I emphasized TOOLS including clinical reasoning case studies. Video courses to strengthen classroom and clinical teaching later this spring that will provide contact hours. Creating concise videos just for nurse educators to my YouTube channel Think Like a Nurse. Continue blogging and share what I am learning in my dissertation journey to better prepare students for practice and the upcoming Generation NCLEX®. Categorizing over 250 blogs I have written over the last several years. So for example, if you are a clinical faculty, you can quickly find all blogs on clinical teaching, etc. I will be communicating next steps and grand opening specials in the weeks ahead! If you already receive this blog in your email inbox, you will be informed of the changes that are coming soon! If you have not yet subscribed to my email list, you can do so using the form at the bottom of this webpage. As I look back at my journey in nursing education, I was not readily embraced by most of my colleagues. But I knew that educational best practice that leads to transformational change is the path that will prepare students for practice and did what was needed. If you have taken any steps no matter how small, do not be content to hold this information to yourself. Tell others then teach those that have a desire to change. By getting out of your comfort zone and speaking the truth in love to other educators, you will make a lasting impact. When you leave your program, it will be a better place because you influenced not only your students but replicated yourself by empowering your colleagues to take the harder path of educational best-practice, so students graduate better prepared for practice because the practice gap was no longer evident in your program. del Bueno, D. (1994). Why can’t new grads think like nurses? Nurse Educator, 19(4), 9-10.
del Bueno, D. (2005). A crisis in critical thinking. Nurse Education Perspectives, 26(5), 278-282. Have you shared your journey of implementing educational best practice? How was it received by others? Get immediate access to almost 100 case study topics and time-saving tools that can help you transform the way you teach with my all-inclusive membership for nurse educators. 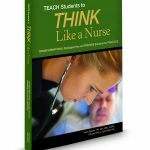 CLICK HERE to get immediate access to over 80 topics and tools to help your students think more like a nurse! The first month is only $1! Better yet, get your entire department on board at a significant discount. Contact me for a no obligation estimate! I attended a seminar on the next gen NCLEX last week. It was very informative and scary! I spent 33 years in clinical practice prior to going into Academia. I want to thank you for these videos. They help reinforce to me what I am trying to teach my students. Unfortunately I still run into the students who want to be spoon fed and the educators who want to teach that way. I think with the new NCLEX a change will be required of all educators. I just hope the picture becomes clear before the first next gen NCLEX is administered, we need to be ahead of the curve. 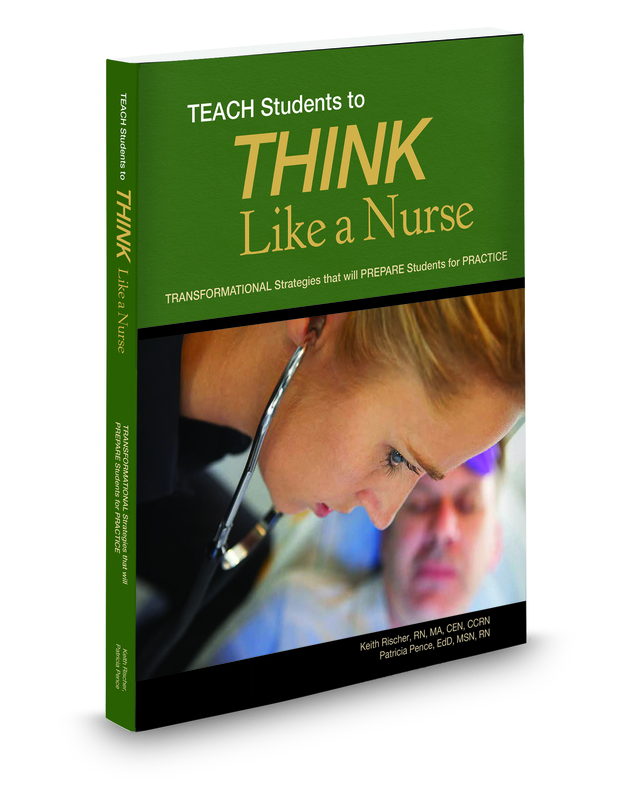 BTW, thanks for your great book on teaching students how to think like a nurse! 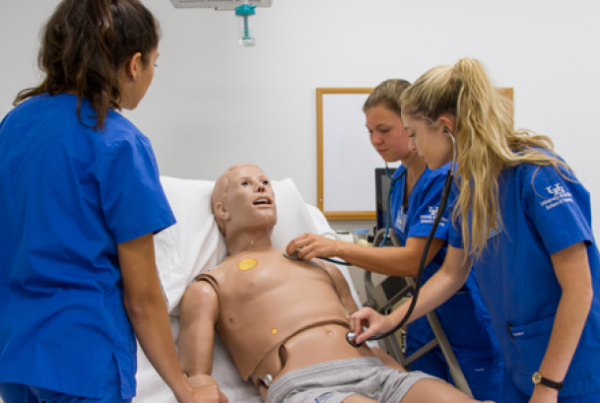 I’m glad you found them helpful.If nurse educators are simply willing to change the way they teach by making learning active and bringing context to content preparing students for next-generation nclex and practice can be realized. The book and the video teaching are practical ways to serve your needs and to see this need accomplished. I appreciate all that you are doing to be put these resources to good use and be part of the needed change!